Port of Dubuque Marina – Ice Harbor Fun! 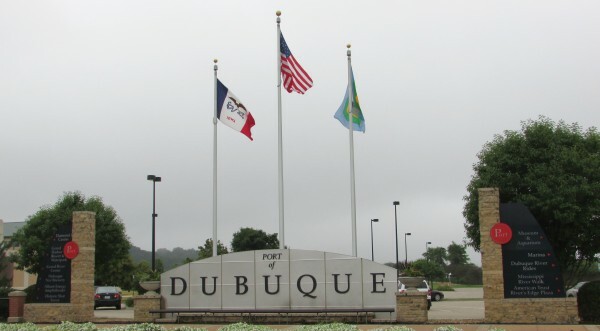 The Port of Dubuque Marina has something for everyone and there is a lot to see. We began our explorations at Paddlewheel Plaza. 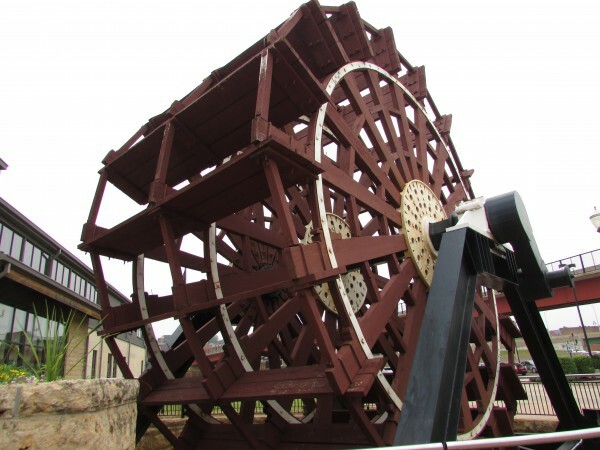 On display is a large paddlewheel from the steamship William M. Black. It is now permanently docked in Ice harbor and is a Bed and Breakfast from April-November. 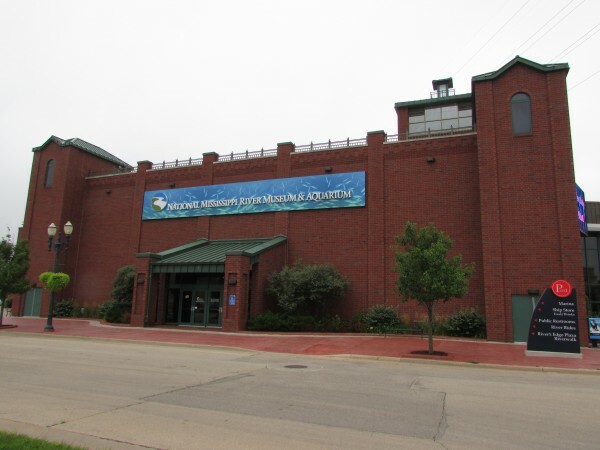 Paddlewheel Plaza is at the back-end of the National Mississippi River Museum and Aquarium, both kids and adults will learn a lot about the river and creatures that inhabit it. Back behind the museum is Ice Harbor, where you can enjoy watching all the activity in the marina. 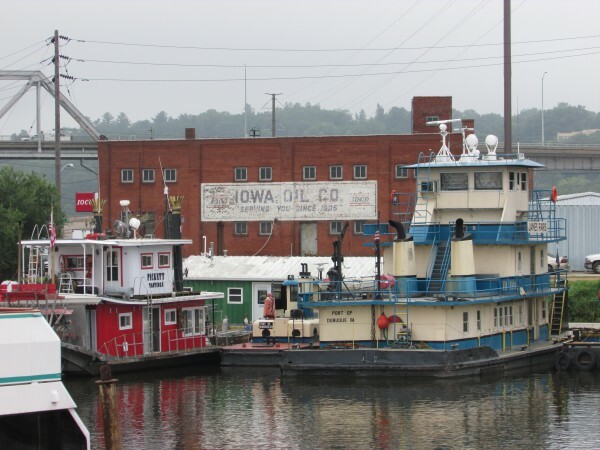 You can take a cruise on the Spirit of Dubuque from May to October. On our way out of town, I saw the ship out on the river. The Coast Guard ship USCGC Wyaconda keeps the waters safe in Dubuque. Also in this location is the Ice Harbor Restaurant, right on the water. And now we reach the end of this part of Ice Harbor, and the beginning of Art on the River on a walking path. Each year the art pieces change. 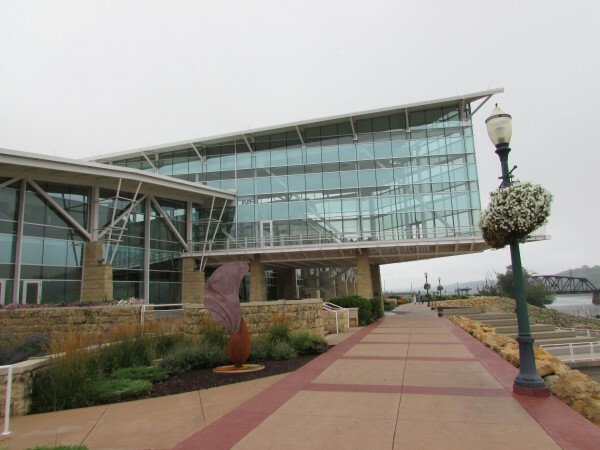 Along the walk we arrive at the Grand River Center, the convention center of Dubuque. 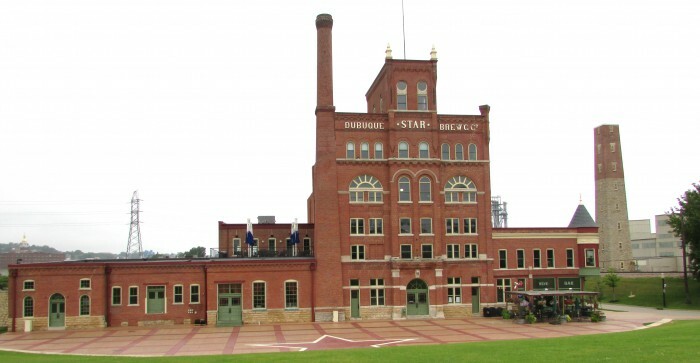 We are reaching the end of the riverwalk, and we see the historic Star Brewery building, now Stone Cliff Winery. It is now is a restaurant and museum and now produce wine instead of beer. To the right is the historic Shot Tower, one of the last ones standing. 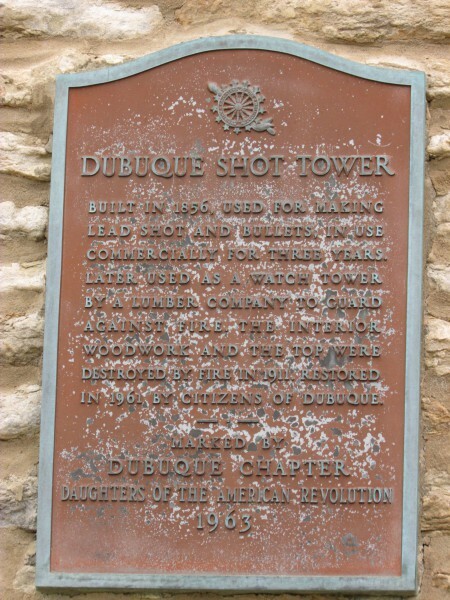 It was constructed in 1856 and lead shot was manufactured here. This concludes our tour of Dubuque. 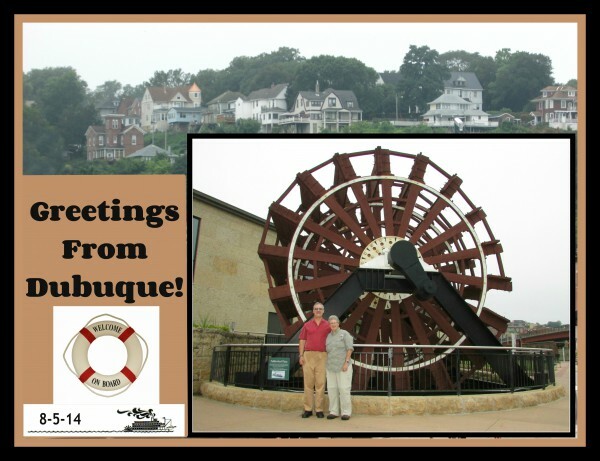 We really enjoyed the sightseeing and hope to return and take a cruise on the Spirit of Dubuque. This city’s rich history made an impression on us and the residents are very proud of living here and welcome visitors warmly. 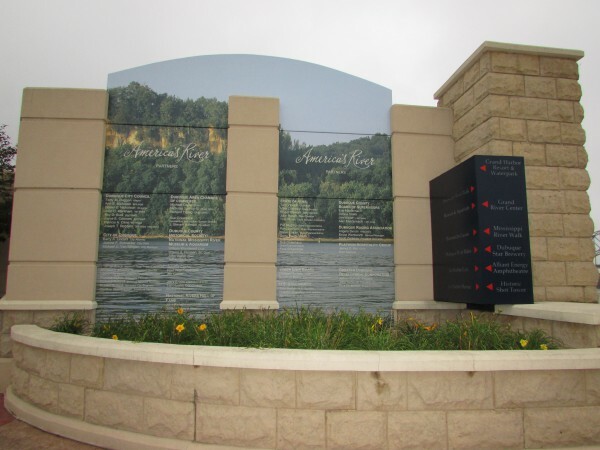 ← Dubuque Arboretum and Botanical Gardens – Come Grow With Us! Pingback: Ice Harbor Galley Restaurant - Everything Dubuque - DBQ.co - Dubuque Entertainment, News, Reviews and More! 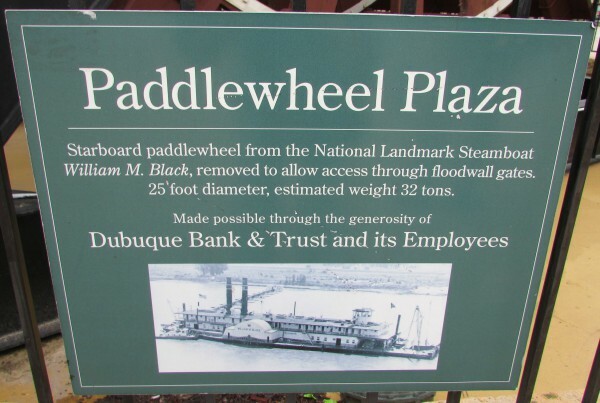 Pingback: 20 Reasons Why Dubuque Has America's Best Riverfront - Around Iowa - Iowa Entertainment, News, Reviews and More!